Are Procurement Professionals Stuck in the Stone Age? The peculiar thing about business technology is that generally it is not very easy to use. I might exclude here email, but the rest of it seems to need a training course and some sort of super user, or a training provider (or even worse a consulting firm) to come and show you how or work it for you. Whereas the most used technology that we interact with outside of work generally does not require any support. The irony here is that business technology came first, and the use of technology first appeared in the office, long before we all had tech at home or on our person. Yet, it remains unintuitive, expensive, and, as a result, does not get utilised fully or at all by a lot of people at work. Compare this to B2C technology, how hard is it to work? ebay for instance. Or Facebook. Or even Candy Crush. The simple answer is they are intuitive, straightforward and certainly do not need any training or consulting support to get the benefit of them. In fact even Generation X (us older types) can work them on any number of portable or fixed lumps of technology. And a lot of them are free to the user. So what’s gone wrong? For this, we’ll let Ed share an anecdote from 1999. While working for PwC, I presented to a local CIPS event in Staffordshire on e-commerce. This topic was perceived as very much the new kid on the block, and a whole host of new tech start ups were receiving incredible valuations. At this session I laid out the view of the future described by the firm, ignorant to the nay sayers. In fact there were quite a few in the audience, most notably those with a few more years under their belts than me. One or two challenged my hypothesis on the topic. 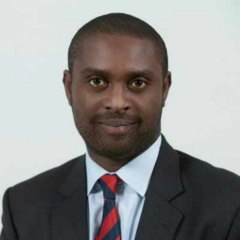 I later left PwC to set up a Private Equity backed branch of a US e-Sourcing firm Sharemax. A year or two later the dot.com bubble had burst and I was back in Consultancy, and the nay sayers were proven right. So, what was, or still is, the problem? From an historic perspective the leading market insight companies and so forth, focused heavily on functionality, as did many buyers of solutions. And ignored the user experience, the maturity or demographic of the population expected to use the technology. 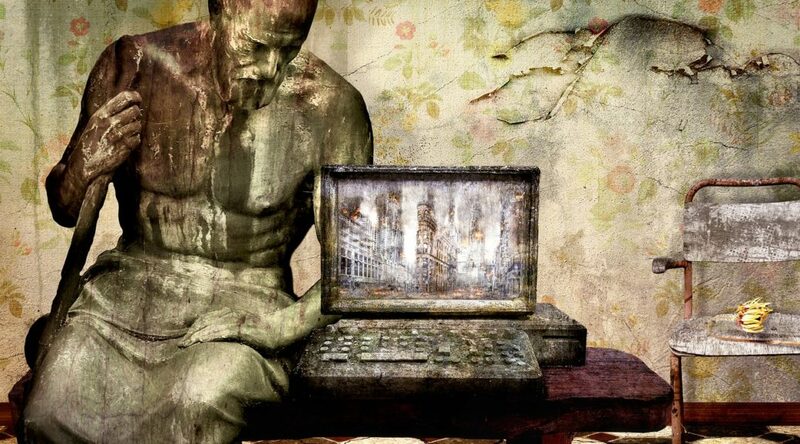 Many people in senior or middle management positions did not grow up with computing technology, and when making selection decisions, focused on elements outside of ease of use, and considered technology against an historic understanding – one where tech is always hard to use. They therefore condoned supplier behaviour where training and consulting support were deemed acceptable costs of enablement. And this thinking has not much changed, given the demographics of leadership. Of course, the existing providers have not been driven to step up, because the customer has not demanded it of them. Whilst in the B2C arena the demographic is younger. The expectation is of instant gratification, solutions that are compelling, easy to use and free or very low cost. With Generation Y coming through in business we expect the current issues are about to change. So why have B2B software providers not followed the B2C route, and provided better, more compelling solutions to pull procurement out of the stone age? You’ll have to wait for the next part of our series to find out. Market Dojo and Odesma have partnered to combine their intuitive eSourcing software and expertise in offering business advisory services to offer clients a winning procurement solution. 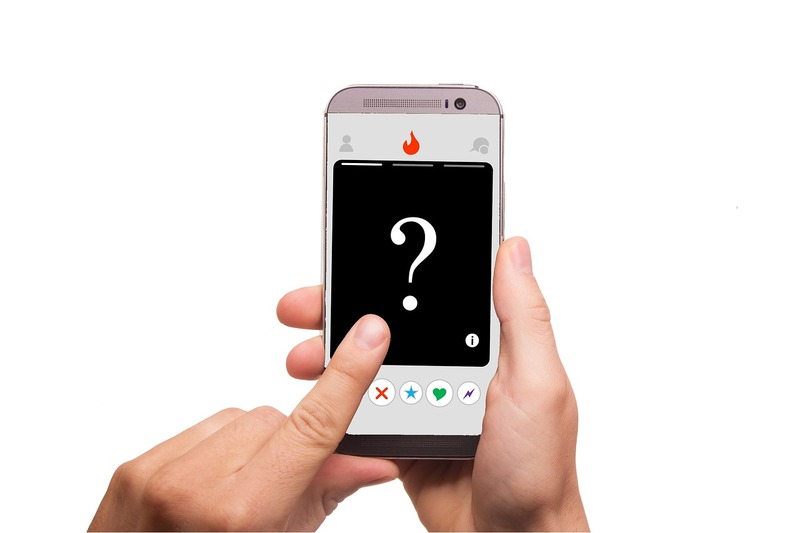 There are more similarities between Tinder and the job hunting process than you might think. Here’s how to deal with rejection from both potential partners and dates. Read Part 1, Part 2 and Part 3 in this series. It all started so well. You went into it with high hopes, and it seemed like a match made in heaven. You’d told your friends, you’d even told your mum and of course she’d told her friends. But then…nothing. They never call, they never write. 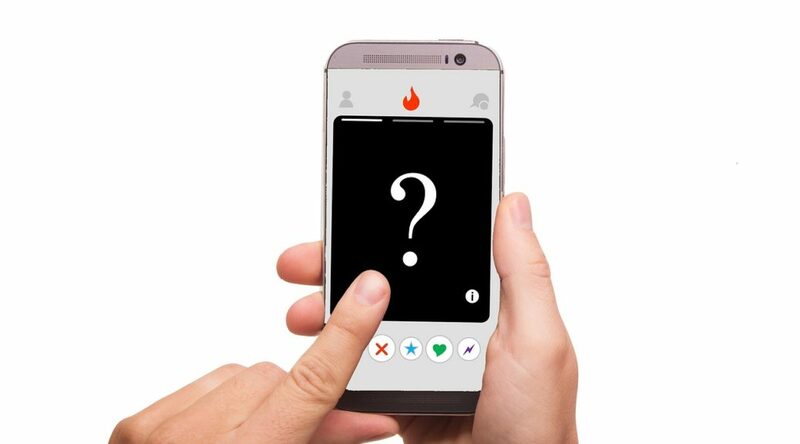 Those potential employers can be every bit as heart-breaking as the “ideal” match that you thought you’d made through Tinder. Coping with rejection is an inevitable part of the job hunting process and because it can feel both painful and humiliating you need to remember to deal with it properly. Rejection can happen at any stage of the Tinder or job hunting processes. Although it’s tempting to try to spare your own feelings by quickly saying “plenty more fish in the sea” and moving swiftly on, it’s a much better idea to sneak a peek through your fingers and try to work out what went wrong. If your Tinder profile is fundamentally pictures of you with your friends, you may think “I look sociable, that’s great” but your prospective dates may be thinking “who am I supposed to be looking at?” Similarly with CVs, a lot of people talk about the projects that they’ve worked on, and what the team did, without saying what they personally achieved. It’s important to stand out so that people can see you. Otherwise you may simply get a Swipe Left – CV in the bin. If you’re getting a lot of rejections without meeting anyone, go back and see if what you’re saying about yourself is really selling you as well as it could be. On the other hand it may be that you’ve not quite tried hard enough. Maybe some of your Tinder photos are blurry, or taken from a bad angle, or in harsh lighting. Similarly, your CV may be littered with spelling mistakes, or grammatical errors or written in an ugly font (Times New Roman for CVs? No!). So, do the painful thing and try to find what you’re doing wrong. One advantage that job-hunters have over Tinder-users is that if they don’t hear back they can always try again. If you’ve applied for a job but not heard back, then why don’t you look again at the job spec, reconfirm that your CV really is a good match and that it’s well-presented, and then ask the potential employer for their comments. Your CV may have been lost amid a mass of applications, and if you show the initiative and enthusiasm to follow up then you are much more likely to at least get a response. Now let’s say your prospective date/employer likes what they see and invites you to chat over a coffee. You’ve told them that you’re a highly-skilled tennis coach/brain surgeon/fighter-pilot but when they meet you they discover that, well, you’re just not. No-one likes to feel misled and a potential employer is going to be every bit as disappointed as a potential date to find out that you’ve lied to them. The subsequent rejection is your fault, not theirs. In future, you need to focus on being the great person that you are, and not trying to pretend to be someone else. Let’s assume you’ve got to that meeting and it seems like everything went swimmingly. The body language was there, the personal chemistry was right. It feels like you’re both exactly what the other person was looking for. But then the communication stops – no more friendly messages, no more wooing. It seems that you’ve been dropped like a hot potato. It could be that the other person hasn’t made up their mind yet, or needs to meet other people first, so if you’ve not heard anything for perhaps a week it is entirely fair for you to make contact. No news is not always bad news. You don’t want to seem like a stalker of course, but you do want to express your interest. And this is a good point to remind you that when you are the one holding the balance of power, as a potential employer or a potential date, the right way to deal with people is to be nice. If you’re going to reject someone, be polite, be clear, and don’t waste their time. Karma will reward you. Sometimes you’re going to do everything right and it’s still not going to work. Unfortunately that’s just life. You can be the perfect person in every way but it may turn out that your prospective date simply clicks that little bit better with someone else. It’s the same when you’re job hunting. You may completely fit the bill but if a prospective employer meets someone who brings an additional skill which the employer hadn’t even thought that they needed…well, there’s nothing you can do about that. Sometimes when they say, “it’s not you, it’s me”, that’s true – you couldn’t have done anything differently. So when that happens, brush yourself down, remind yourself that you’re fabulous, and get back out there. Although the theory is well regarded, the practical aspects of introducing a sustainable procurement strategy are often overlooked. This article is by Gerard Chick, Chief Knowledge Officer, Optimum Procurement Group. About 10 years ago the UK government started taking the pursuit of sustainable procurement seriously. They established a task force of industry experts to try to define ‘sustainable procurement’, and develop appropriate standards for general deployment. The Government’s goal was position the UK at the forefront of sustainable procurement in Europe by 2009. Their framework and recommendations have been instrumental in guiding sustainable procurement strategy, theory and practice across the globe. So what is this thing we call sustainable procurement? Sir Neville Simms, chair of the UK Procurement Task Force, described it as the use of procurement “…to support wider social, economic and environmental objectives, in ways that offer real long-term benefits” to organisations and the communities in which they exist. The achievement of significant savings by focusing on a “whole life costing” methodology for procurement. 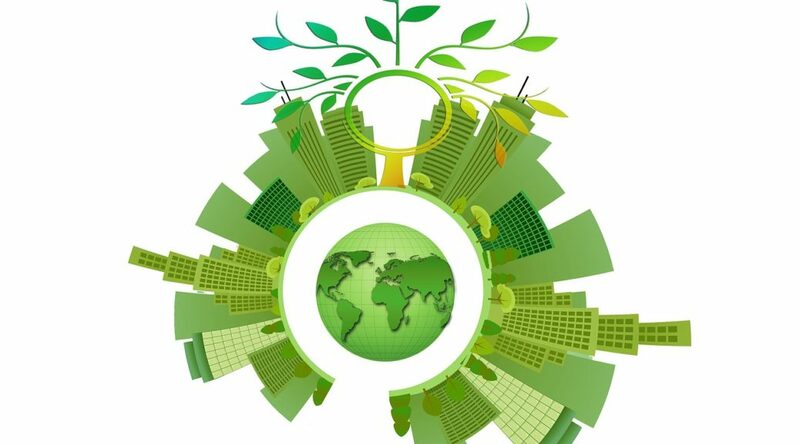 The incorporation of the “three Rs” (Reduce, Reuse, Recycle), to cut waste and improve the efficiency of resources. 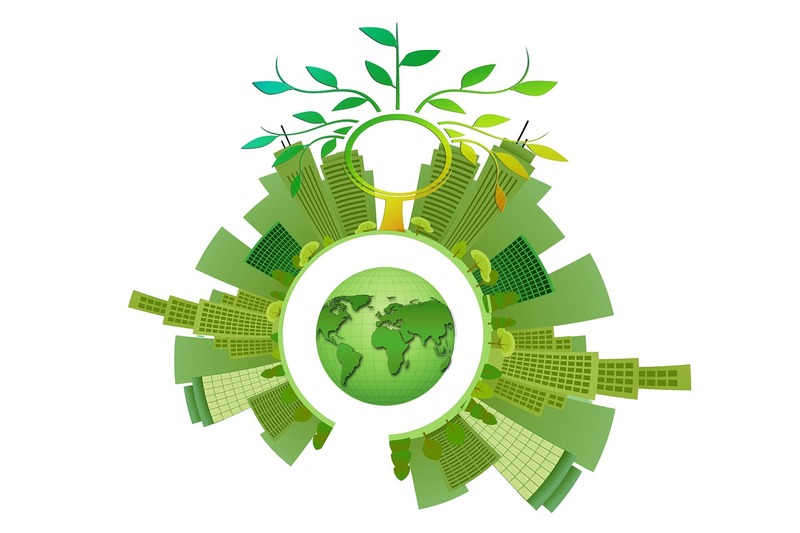 The enhancement of businesses public image, by demonstrating a sustainable approach to business, and championing related environmental and social benefits. The development of new markets for innovative products and services through technological advancements. The improvement of management information, a focus on business and supply chain risk, and better supplier relationships. Competitive advantage as a consequence of the early adoption of practices, focusing on increasingly environmentally-focussed legislation. The UK Task Force devised a National Action Plan to inform interested organisations to adopt a sustainable procurement strategy. In 2006, Procuring the Future was published to support public and sector organisations in taking their first steps in this burgeoning area of interest. Be a beacon: Provide clear direction for both procurement and your supply base providing consistent leadership and policy-making on sustainable procurement issues. Set the standard: Fully implement existing procurement policy and standards. and ensure these are extended across all procurement activity. This will improve performance and underline expectations, including the establishment of well understood minimum standards for your suppliers. Prioritise: Rationalise existing procurement standards into a single integrated procurement framework, which covers both policy relevance and appropriateness. Test: Filter and select new procurement policies to ensure they are enforceable, before considering implementation. Develop capability: Ensure you and your team have the requisite professional skills to support the efficient deployment of sustainable procurement. Tool up: Provide the appropriate tools, training and information resources to execute these standards. Be ready: Ensure you already have the appropriate budgetary mechanisms in place, and that your spending and budgeting policies facilitate your sustainable procurement strategy. Be proactive: Encourage openness to innovation and look proactively for opportunities to drive social benefits through your engagement with suppliers and the wider marketplace. There is no doubt that the UK’s lead is now being adopted elsewhere, and that the global procurement community seeks to embrace a sustainable approach with an eye on good practice coupled with other significant business rewards. Is the procurement software created to make jobs and lives easier actually doing the opposite? Is it all weighed down with a glut of unnecessary features? Paul Blake leads the technology product marketing team at GEP, a leading global provider of procurement technology solutions. 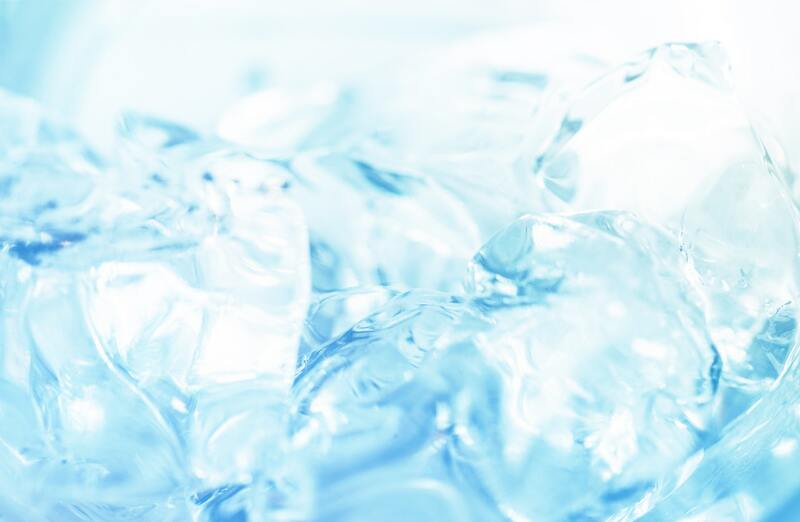 Have you ever wondered how many power stations are needed to make all the ice that no one uses? Or how about this: what does the internet weigh? These are the sort of questions that I have found coming to mind on long journeys. I know, it’s sad, isn’t it? Another one was, what is the quickest way to transfer a really huge amount of data from one place to another? You’d be forgiven if such questions fall into the category of “things I never think about,” but increasingly the answers to seemingly abstract questions might indicate the kind of thinking we’ll have to do to solve more complex problems that really matter. The journey that brought our opening question to mind was one homeward bound after a procurement conference, one where I had engaged in a fascinating conversation with some specialists in procuring energy. We all know that one firm’s indirect can be another’s direct category, and energy is a perfect example. 100 terabytes of data is a large, but not unimaginable, amount. Given that you can buy a card today for your camera that can store 960GB, then you’re pushing a terabyte (more or less) into something the size of a thumbnail. Stick a hundred of those in a padded envelope and you can have it anywhere within a 25 mile radius within the hour or anywhere on the planet within 24. A 500-megabit broadband connection would take you the best part of three weeks to send that much data to your neighbour, let alone to your colleagues 7 time zones away. 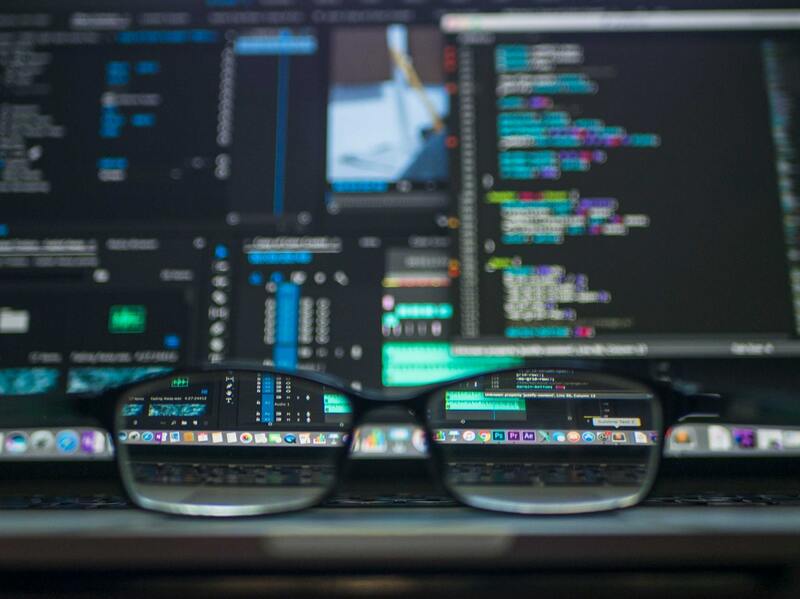 As the complexity of business information increases and subsequent data volumes explode will we begin to see a hybrid solution to data transfer? SneakerNet 2.0? Equally, as energy becomes more of a limiting factor, businesses may look for novel methods to combine traditional and emerging technologies into a solution that works for a new era. Some years ago I was surprised to find, in my local DIY store, a display of low energy compact fluorescent light bulbs on sale for, if I recall correctly 30p (50¢) each. When you do a bit of scratch mathematics on the back of an envelope, and realise how much energy is spent putting ice in places where it doesn’t need to be (a couple of kilos, for example in every hotel room in the place I’ve just stayed as part of their “turn down” service), then you start to think about a whole host of other seemingly trivial things, which add up to huge profligate waste. Cocktail umbrellas? Sachets of salt and pepper served with in-flight meals that nobody ever opens but which all get discarded? The printing of the words “allergy advice: contains mustard” on jars of mustard (it’s true). Makes you think doesn’t it? All that energy adds up to a vast amount of fuel burned for no really compelling reason whatsoever. 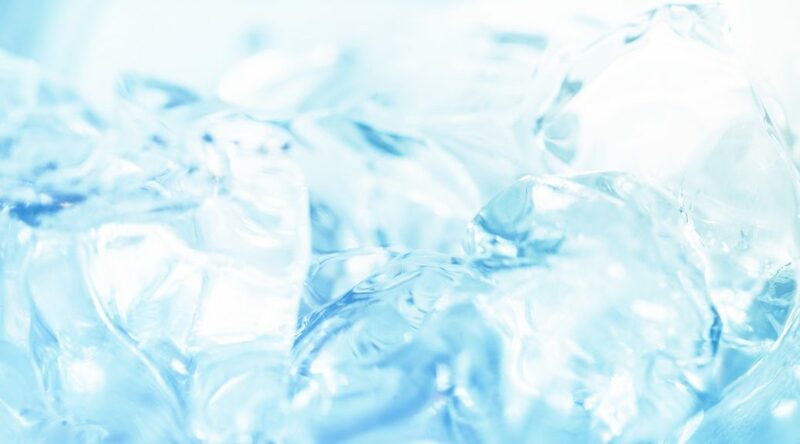 In solving one small apparent problem (like the inability to get through a night without some ice nearby), we can create another that is much trickier to solve, and they require us to be creative and develop different, perhaps non-obvious solutions. Perhaps nobody would immediately think of using a traditional parcel service to move data about, or giving away energy saving devices instead of producing more energy. When it comes to developing procurement software the obvious path is to develop features and functions. Capabilities if you like. The tools to let you do stuff. This is natural for developers, it’s what they do. What they may actually be doing is attempting to solve small problems that aren’t necessarily real in any significant sense (the operational equivalent of running out of ice while you sleep), and at the same time creating a much bigger, more intractable issue. In trying to deliver every bell and whistle in order to reach feature parity with a competitor, technologists end up building monstrously complex systems that actually hinder the very process they were intended to facilitate. But perhaps there is a different approach. How about, instead of developing an ever more elaborate set of features in some kind of arms race, we look at developing processes; processes and the means to shape them to suit a business? What would that mean in real terms? Perhaps the future of business and procurement software is about making connections between people and groups work better, instead of creating more and more levels of complexity in the tools they use. My contention is that one way to dramatically improve productivity in the modern work place would be to outlaw email. Heretical, perhaps, and probably impossible to implement. But I bet most of you reading this are both shuddering in horror at the thought and, at the same time, recognising the truth of the situation – that email is the static that swamps our day, the noise that is disrupting the signal, so to speak. Technology has the capability to drive improvements in business but it has also the capability to tie us down in thrall to evermore complex tasks and activities. When looking to what we might develop next, we should not lose sight of the human aspect that is central to what procurement is all about – establishing and managing relationships across an entire supply chain for mutual benefit. Whilst not proposing a sudden panacea to cure all ills, this approach might start to move us towards better, more natural productivity, and away from being weighed down by increasing complexities. But that new idea would require a shift in thinking in the customer too. The process of procurement software selection has for too long been dominated by an almost obsessive compulsion to assess suitability by ticking boxes against features and functions, instead of an examination of how a company’s problems might be solved. Enlightened procurement pros are starting to “get” this idea. They are looking to their own operations to see what the really big problems are, and getting to grips with how to solve them using procurement software as an enabler, rather than as an end in itself. So how much does the internet weigh? Not the server farms or storage devices, or drives or memory chips involved, but the data itself? It might seem like an utterly meaningless question. Surely an acre-sized data centre weighs the same whether it is full, or as empty as the day it came on-line? Well, apparently not. Data requires energy to exist. And every megabyte of data you add to your cloud corpus, adds just a little more energy. The world’s most famous equation tells us E=mc2. Therefore, every unit of energy you require to store a unit of data, equates to a corresponding unit of mass. A full data centre really does weigh more than an empty one, but of course only by a tiny, tiny amount. Correspondingly, every email we receive, and every feature we add to our already complex systems, adds just a little bit more mass, literally. We’ll never notice it, of course, but every time we feel weighed down by an information overload, or stymied by ridiculously complex procurement software, at least we can comfort ourselves in the knowledge that we’re not imagining ALL of it. And one day we might work together to lighten the load. For more high-energy thinking on procurement software, visit the Smart by GEP website. While it might be a difficult term to define, there are a number of practical applications for using Big Data. 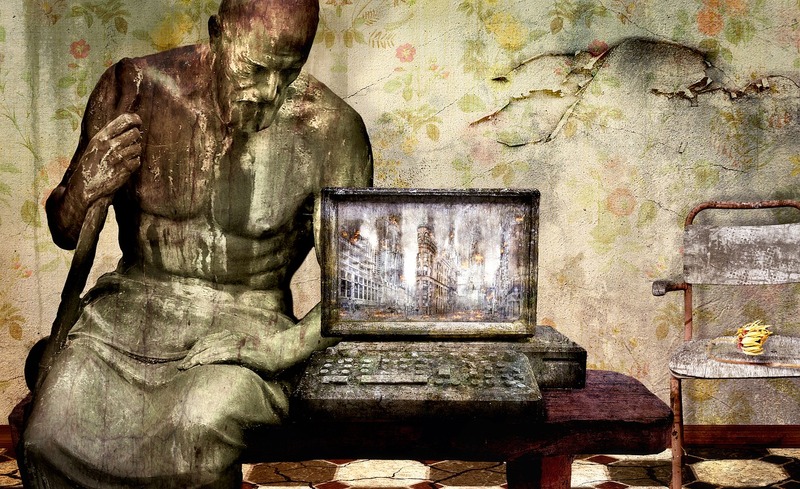 In our previous article, we looked at defining (or rather, not defining) the term ‘Big Data’. Now we are going to explore the potential big data analytics and computing may hold for the procurement function. There are a number of high-profile ways in which organisations are using Big Data. For example, hospitals and public health organisations are using Google’s search trends and history to predict future outbreaks of the flu and colds. You can read the details here and see the counter argument here. The application of Big Data in the procurement space is a little less apparent, or at least, less well publicised. With that in mind, we’ve put together four ways that procurement could be using Big Data to its advantage. 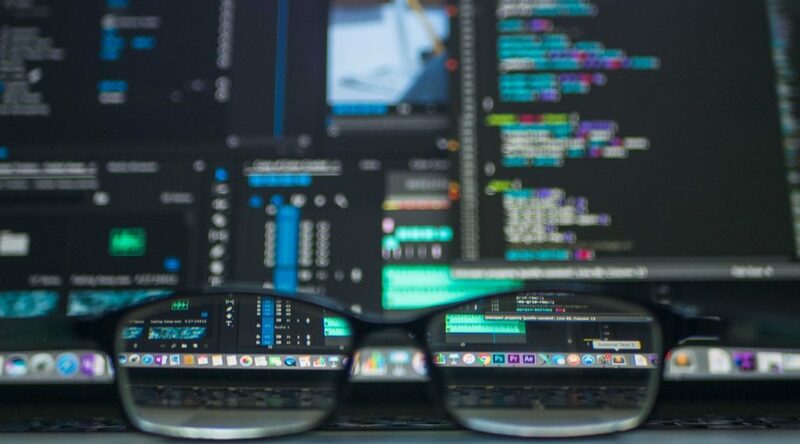 By leveraging the vast amounts of unstructured data now available to organisations, procurement teams can get a far better understanding of their key suppliers. Previously supplier information could be found through the media, suppliers’ websites and personal relationships with the people being bought from. Data mining allows procurement to go much deeper than this and provides an unbiased, opinionated view of their suppliers’ standings. In the same way that harnessing data allows us to understand more about our current suppliers, correctly utilised, it can also help procurement understand more about its supply markets and where it sits within them. By understanding the global supply market at a more granular level, a whole new set of opportunities to uncover savings is opened up. These savings can come about either through direct pricing improvements or through new innovative solutions. In the past, Big Data has been used to predict unforeseen weather events with varying degrees of success. However, many organisations and governments are investing heavily in this technology. 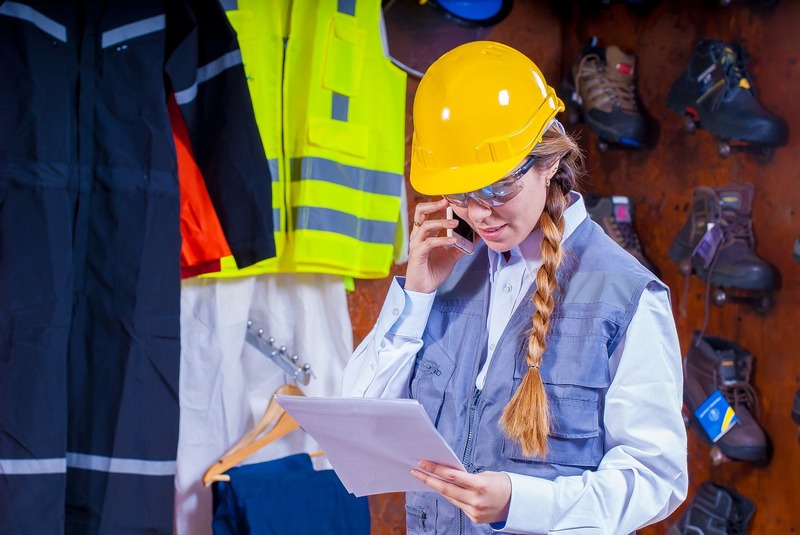 These insights and predictions would, understandably, garner strong commercial interest, particularly from procurement teams looking to understand just how exposed their supply chains are to both natural, and man-made, disasters. Understanding and using Big Data means understanding a category more clearly. Organisations that are able to get this level of understanding are in a position to open up conversations around innovative solutions. The critical part of this is that transparent relationships with suppliers must exist first. The companies can then work together to solve problems and benefit from opportunities, even if some of these opportunities are not even visible yet. In our next article, we’ll be be looking for some real life procurement examples where Big Data has been leveraged successfully. If you know of any great examples, please get in touch. Big Data will be one of the themes discussed at the Big Ideas Summit on April 21 in London. Tell us your Big Data story and pose questions for our experts on this subject by registering today. 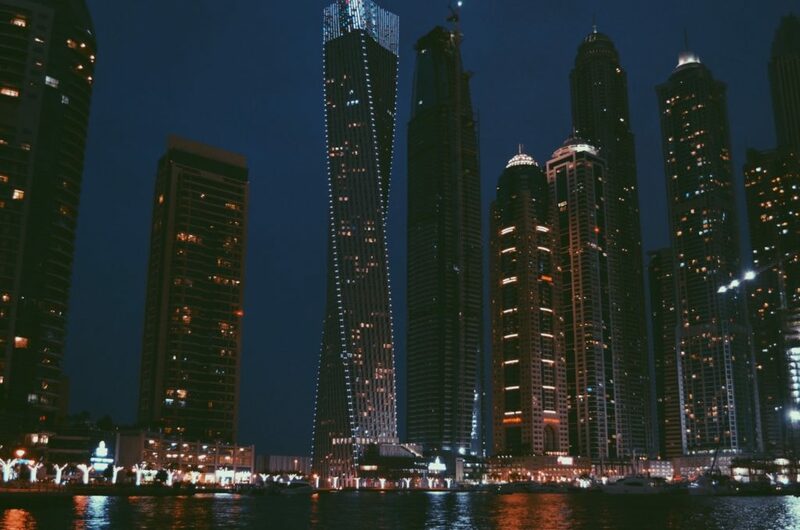 Procurement’s Change Makers – The challenges of creating a strategic procurement function in a diverse investment company in the Middle East. This article is part of the Future Purchasing ‘Change Makers’ series. 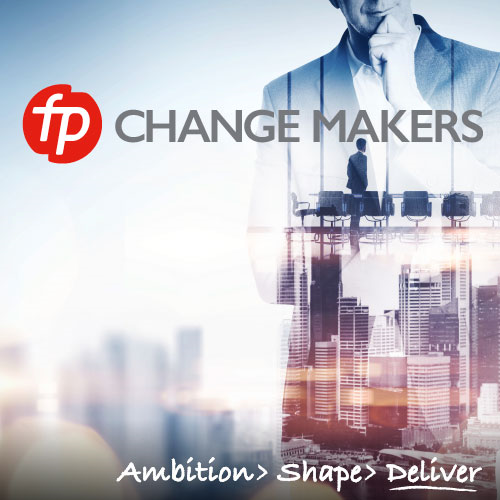 In the second in our series of articles profiling procurement’s ‘Change Makers’, we spoke to Cory Thwaites, Executive Director of Procurement for Tecom Group, the leading developer and operator of free zone business parks providing a home in Dubai for over 4,600 businesses & representing a total workforce of 74,000. Cory shares his experience in the changes needed to create a strategic procurement function within this diverse, capital intensive and services orientated organisation. 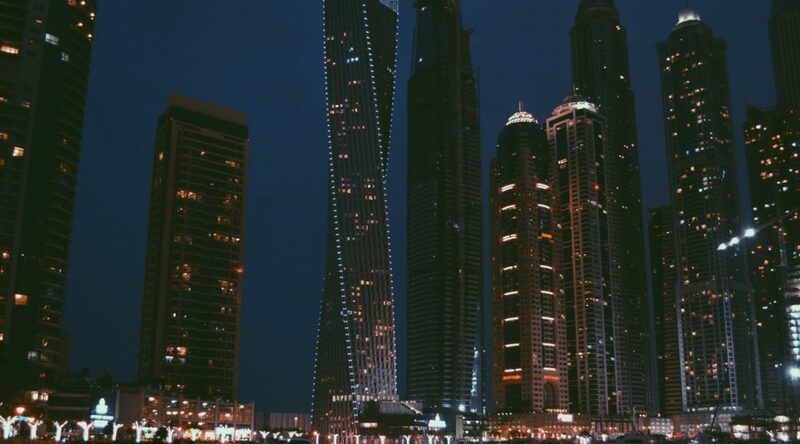 I joined Tecom Group, which is part of Dubai Holdings in April 2015. The procurement team size had dropped by 30 per cent with no clear procurement procedures or process in place. In fact, only one person had any formal procurement experience. Each individual handled purchasing, negotiation and order placement, so there was no specialisation or delegation of duties. Lack of procurement strategy was creating problems with suppliers and stakeholders. It was also holding up the entire business. For example, the tenders committee (which approves projects over AED 1 million) could take more than a week to convene. Add this to lots of other red tape, and it was clear that Procurement was stifling, rather than supporting, the business. Initially, I sought advice and feedback from the other senior executives. Next, I structured the procurement department into strategic sourcing and operations teams. Then I presented my plan for a sourcing and operations focus to the board. Getting sign-off on this new strategy from the CEO in June was the turning point. I transformed the existing team by bridging their knowledge gaps. A six-week bespoke training programme featured a day of group training and another for one-to-one coaching. This really helped my team understand aspects like opportunity analysis and even basic spending analysis. The big challenge came with evaluating suppliers. There had been no financial checking or reference calls and stakeholders simply worked on their own instincts. We implemented a scientific evaluation process with key metrics including pair’s analysis. I’m proud to have kept the team together. Two colleagues were offered jobs elsewhere but chose to stay because they recognise how much procurement is transforming from a tactical to a strategic function. Two of my ongoing aims are to improve CSR and to develop a supplier relationship programme, particularly within the thriving construction market. There are a number of organisations in Dubai who are at least five years behind European procurement culture and best practice. My advice to succeed in the UAE is to be patient and recognise the potential skills shortage. Working with Cory, we have seen how he has embraced this new role with vigour and relish. His practical attitude, ability to listen to people and willingness to roll his sleeves up to solve the little problems for his team and the big problems for his customers is key to the progress that he is making in this difficult environment. Do you have experience of creating a strategic procurement function in a diverse organisation? What works and what doesn’t work? Let us know in the comments below.. 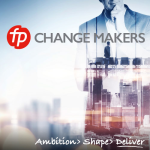 If you would like to appear in our Change Makers series then contact Anna Del Mar for details here . Today is World Sleep Day, a good excuse to grab some extra Zs. 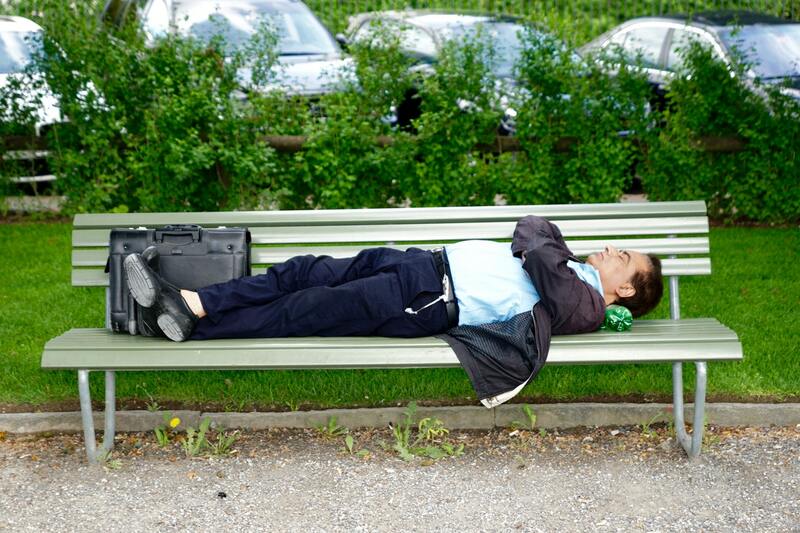 Research has found that poor sleep is impacting over 5 million UK businesses. World Sleep Day is today and recent research has shown that one in three people in the UK currently suffering from sleep problems. It’s time for people to wake up to the impact poor sleep is having on the UK’s 5.4 million businesses. Not only has poor sleep been linked with mental health conditions such as anxiety and depression, but also decreased productivity and concentration in the workplace. Information from the World Sleep Survey by Big Health, creators of the clinically-proven sleep improvement app Sleepio, reveal that the average UK employee loses 8.5 days of work a year due to poor sleep. Sickness absence and working-age ill-health, including poor sleep, currently costs the UK economy £100 billion a year, while sleeping pills alone cost the NHS nearly £50 million a year. ‘Poor sleepers’ (those who rated their sleep quality as below average) missed 14.6 days of work per year. Alarmingly, 60 per cent of these poor sleepers don’t seek to fix the problem and did not consult their doctors about their bad sleep. Sleepio help some of the world’s leading companies, such as LinkedIn and Ford, to improve employee wellbeing and boost productivity in the workplace. The app creates personalised sleep improvement plans featuring Cognitive Behavioural Therapy (CBT) techniques to help sufferers overcome poor sleep without pills. The 2,500 British participants in the World Sleep Survey stated that the top three personal impacts of poor sleep are a decline in energy levels (60 per cent), mood (48 per cent) and relationships with others (35 per cent). These repercussions affecting their work with a reduction in: concentration levels (46 per cent), ability to complete work (38 per cent) and ability to stay awake during the day (27 per cent). “Poor sleep is the unspoken productivity killer in the workplace and it has been ignored for too long”, said Peter Hames, CEO and co-founder of Big Health. “Now is the time for employers to wake up to the problem of sleep – improving employee’s sleep positively impacts workplace effectiveness and general wellbeing. 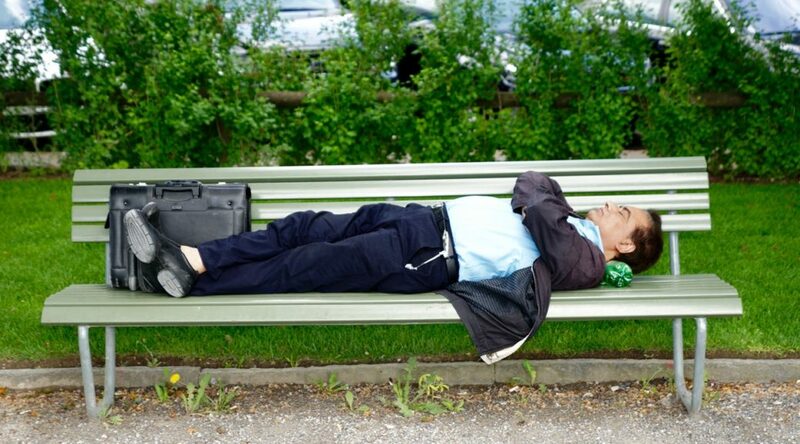 Colin Espie, co-founder of Big Health and professor of sleep medicine at the University of Oxford, added, “World Sleep Day is the perfect time to acknowledge the widespread effect poor sleep has on our lives. So, what better time than World Sleep Day to start thinking about your own sleeping patterns, and what you can do to improve this. Why not check out some gadgets that might help you sleep better, or get some tips from the sleep and productivity experts? Whatever you do, make sure you sleep well this weekend! Charting the stratospheric rise of Slack, and investigating how it can be used to increase collaboration and conversation in procurement. For those who don’t know, Slack is an online communication tool, built around both group and a one-to-one chat. But it’s much more than that. Unlike any other system, Slack can talk to pretty much any other tool through the magic of APIs and webhooks. These integrations make it a mind-numbingly powerful tool, because it becomes a platform for pretty much anything you need, and can be the focal point of many aspects of your business. It drastically reduces the number of systems you need to consult to get the information you need to do your job. If something is noteworthy, it should be pushed to Slack. This incredible value has allowed Slack to grow very fast. We don’t have any startup in our surroundings who doesn’t use it. But it is also increasingly used in larger organisations, for example, NASA, Dow Jones and Salesforce. Plus, all the major news outlets talk about it or even use it. Their progress is staggering. 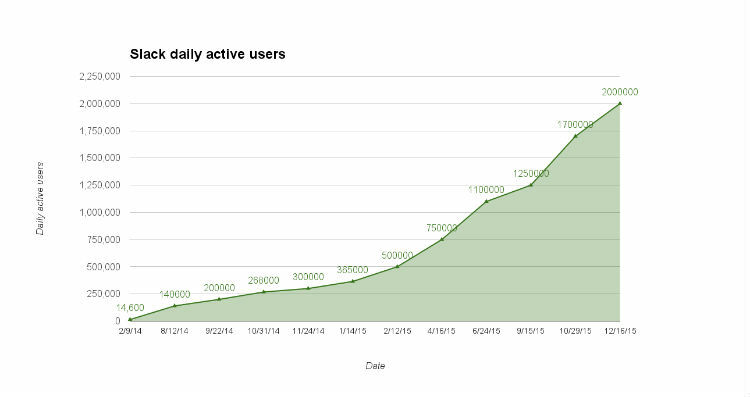 After less than 2 years there are more than 2 millions active users of Slack globally. And it’s only the beginning. Does Procurement really need it? Does Procurement need to collaborate or be more nimble? 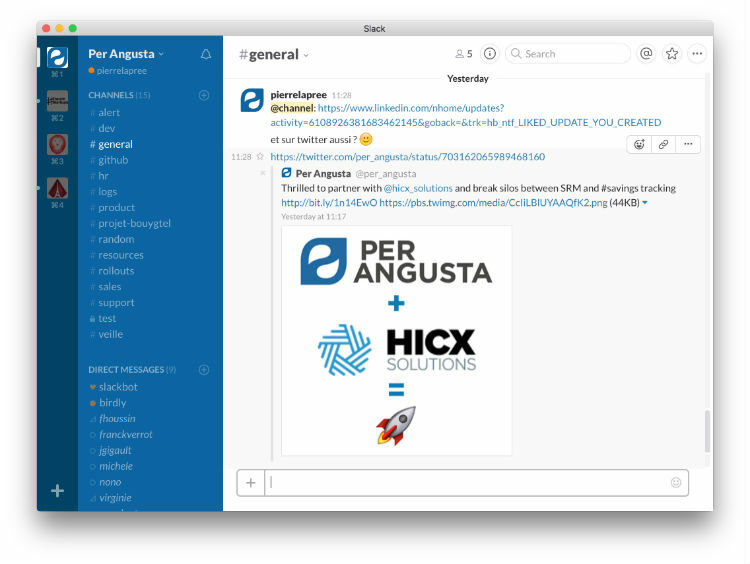 Can it use Slack as part of its digital transformation? With your team, your stakeholders and your suppliers. It’s easy to create topical channels and invite people to join them. Even if they are outside of the company. Imagine: you no longer have to ask IT to create a dedicated section on the intranet, or setup a “secure room” to exchange documents. Slack can host everything from documents to discussions, and it’s available for anyone with access to the channel. It’s the end of information trapped in someone’s mailbox. That’s how you’ll get smooth collaboration with your stakeholders or your suppliers. Slack has this incredible ability to integrate easily with pretty much anything. Twitter, Dropbox, Google Docs, or anything that can respond to a URL, can be integrated with Slack. This means that when something noteworthy happens, you get a notification in Slack and not cluttering your inbox. One more step towards inbox zero! And a new range of Procurement tools can also be integrated and send notifications to inform you about new purchase orders or new negotiation projects. Soon, the days of email notifications and logging into 5 different systems to know if something has happened, will be gone. This is probably the last step towards inbox zero. We have set a rule in our company that basically says, “if there is no recipient outside of the company, then don’t send an email. Use Slack instead”. You have no idea how much this reduces the number of emails we receive on a daily basis. If the information is meant to be shared with one person only, you can use the direct messages, otherwise, it can be posted in a relevant channel. Easy! Recently, there has been a lot of talk about the concept of conversational procurement. In essence, people in your company would no longer visit your e-Procurement tool to buy things, but would instead talk to an automated system that would understand their needs, gather relevant information and run the process of validating and ordering. Think of it as Procurement meets Siri, or Google Now if you’re an Android person (or Cortana if you’re…oh wait no-one is a Windows Phone person…). And that’s exactly what bots are in Slack. An interface for the user to interact with a system in a loosely structured way. Of course, this would mean that a system in the background would have to understand your request, but at least the user-facing part is taken care of. Besides all the serious things you can do in Slack, there is also the #random channel, which acts as a sort of virtual water cooler, a place to just relax and post some funny stuff. Again, the fact that Slack is so easily integrated with a number of services will let you post nice animated gifs everywhere. So what are you going to do next? We suggest you register with Slack and create a room (or possibly talk to IT first…). Don’t worry, it’s free, and you will only start paying if you have more than 10 integrations. And if you reach that point, then it probably means that you will be happy to pay for the service. Just be aware that Procurement and Digital Procurement are already taken! If procurement is going to get serious about social value, then it needs to ensure that it is fully integrated into strategic plans. Public spending through procurement practices and contracts can be shaped in a way that benefits both the economy and society – but too often this is not the case. Since the implementation of the Public Services Social Value Act 2012, not enough has been done by commissioning organisations to ensure they are obtaining maximum social value from contracts. Social value is a way of thinking about how scarce resources are allocated and used. It involves looking beyond the price of a contract, and prompts organisations to consider the collective benefits a contract could deliver. Implementation shouldn’t be a trade off against cost or quality. It is possible to deliver a triple bottom line through procurement activity. A combination of three factors – social, environmental and financial – should improve the quality of delivery, which in turn will almost always result in an improvement in efficiency. It’s essential that when commissioning services, organisations are focused on achieving the best value, as opposed to focusing solely on cost. The strategic power of social procurement can be extremely influential, particularly when decisions are aligned to a business strategy which supports an organisation’s wider corporate mission and values. How can social value be achieved? There are a number of ways to ensure that social value can be fully integrated as a part of procurement plans. The Public Services Act 2012 asks organisations to only consider it at the point of commissioning. However, to realise maximum benefits, social value should be considered past this point. Fusion21 delivers procurement services for built assets to over 180 public sector members, and we ensure social value is delivered through our programmes by measuring the performance and delivery on contracts. To date £56 million of social impact has been delivered, and over 2400 jobs have been created. Last year alone we achieved over £13 million of efficiency savings for our members. So, at the point of commissioning, how can you ensure considering social value will make a difference? Including it within the award criteria, and assigning weighted sections as part of a supplier’s quality submission during a tender process, is one option. Fusion21 attribute a proportion of a tender evaluation to social value – resulting in this having a direct impact on the final scoring. This approach ensures that social enterprises, SME’s and socially driven suppliers, stand a better chance of winning work through the procurement process. It also provides an opportunity for organisations to demonstrate the added value they can deliver on a contract, and enables the commissioner to evaluate this based on project objectives. Organisations should always avoid a ‘best endeavours’ approach to social value implementation within contracts. Instead, commissioners should stipulate how their objectives will be managed, and consider how performance will be evaluated. One way to do this includes asking successful bidders to produce SMART action plans, listing the outputs they can generate. Once this is complete, social value performance should be integrated into standard contract management procedures. Fusion21 also issues Regeneration and Local Economic Benefit Plans to every member who has commissioned a contract through us. These plans contain clear objectives and set targets – in addition to providing analysis and detailed progress reports. By placing a financial figure on the value generated, our members can see the clear benefits of social value activity. Finally, if social value can become engrained in a supplier’s contractual obligations, it is easier to ensure that goals will be met. At Fusion21, we put a contract in place between our member and supplier, which states an employment opportunity, must be created for every £500k of contract value. It’s fair to say that procuring for social value needs to have a higher priority in the public sector – and to retain competitive advantage, suppliers should be considering their approach to delivering this. Fusion21 is an award winning social enterprise who’ve gained national recognition for collaborative working with suppliers and members. We provide a wide range of procurement services and procurement frameworks for built assets that meet the unique requirements of public sector organisations. 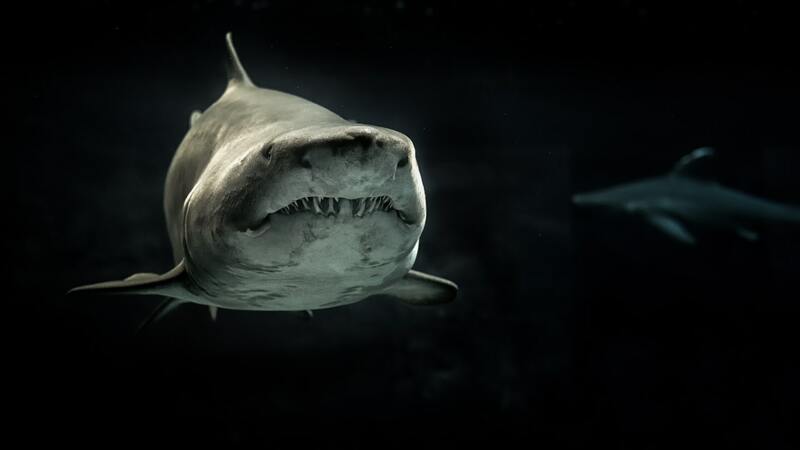 There are two types of shark – the ones in the water, and the ones that reside in the murky waters of the UK energy markets. It’s time to bring some visibility into these waters. It is common knowledge that sharks are dangerous. But are they? I have scuba-dived with real sharks, and swum with the sharks of the UK energy markets for many years. The vast majority of real sharks are harmless and will swim away if approached by an over excited diver. Sharks are curious animals and will slowly and carefully approach divers that are calm and motionless. However, there is no doubt that some sharks are dangerous, but if a diver understands shark behaviour, then any danger is minimised. Unfortunately the sharks swimming in the UK energy markets are very different beasts. These sharks are uninformed, unpredictable and deliberately target the unwary without mercy. There are hundreds of these sharks waiting to strike. As procurement professionals, how many calls a day do you receive promising cheaper energy and services that are far superior to any offered by the competition? Many procurement professionals see energy purchasing as a dangerous and mysterious world full of sharks, and for good reason. If I put my cynical hat on, then is the fear of the unknown driving procurement professionals to outsource the blame by engaging an energy broker? OK, let’s bring some visibility into this dangerous world and start to understand the feeding habits of the sharks. Let’s start with the basics. The electricity and gas received at your premises does not change no matter which supplier is billing for its consumption. What characteristics does an energy supplier need to meet your procurement objectives? 1. Hold a supply licence. 3. Bill accurately and on time. To understand if an offer from an energy supplier is a fair price what do you need? 1. A clear view of the cost to a supplier in providing energy to your premises. 2. The supplier’s real profit margin. This is starting to look simple isn’t it now the ‘smoke and mirrors’ have been removed? At this stage, all you need is to make sure that the supplier’s terms and conditions allow sufficient flexibility for you to decide when to purchase wholesale energy, without any hidden profit for the supplier. There is the complication of what is happening in the wholesale energy market, but that will be tackled in a later article. The next article, “Visibility and Feeding Habits of Sharks”, will get into more detail of transparent energy purchasing.